President Donald Trump says he’s tapping Gen Mark Milley as his next top military adviser. 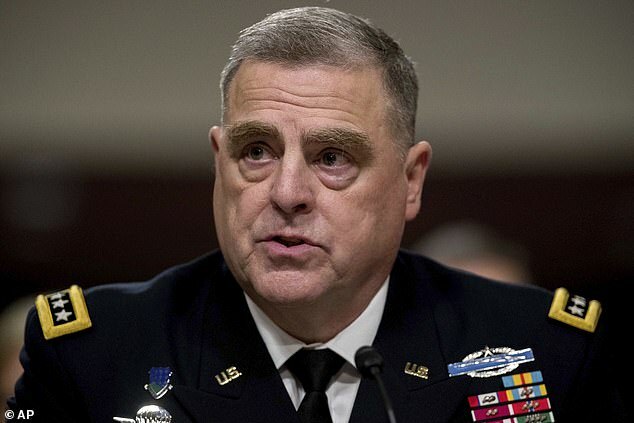 Milley is a battle-hardened commander who has served as chief of the Army for the last three years. If confirmed by the Senate, Milley would succeed retiring Marine Gen Joseph Dunford as chairman of the Joint Chiefs of Staff. Trump tweeted the announcement Saturday, thanking ‘both of these incredible men for their service to our country!’ He said the date of transition is being determined. 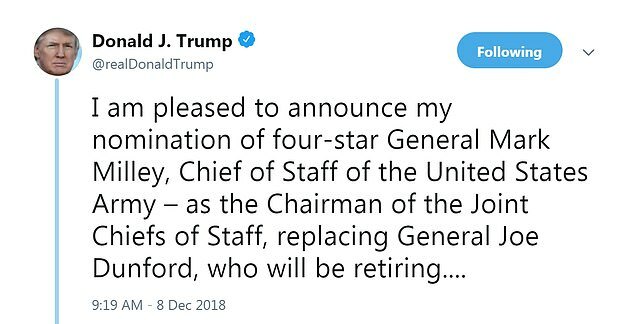 His term as Joint Chiefs chairman ends October 1. Milley commanded troops during several tours in Iraq and Afghanistan and has served as the Army’s top officer since August 2015.